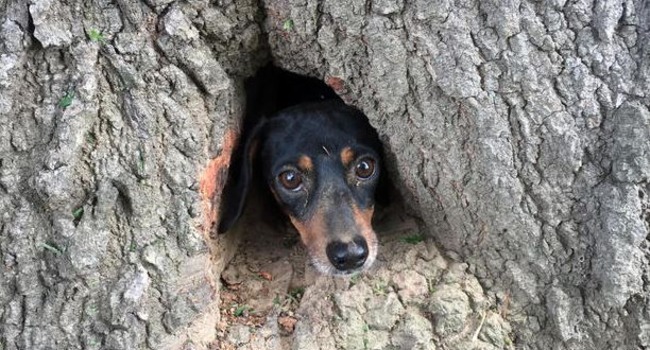 Perhaps on the hunt for a groundhog, this little dachshund found himself in need of help. Luckily, two off-duty cops (& one fireman!) stepped in to lend a hand. Rocco is one lucky little dog. 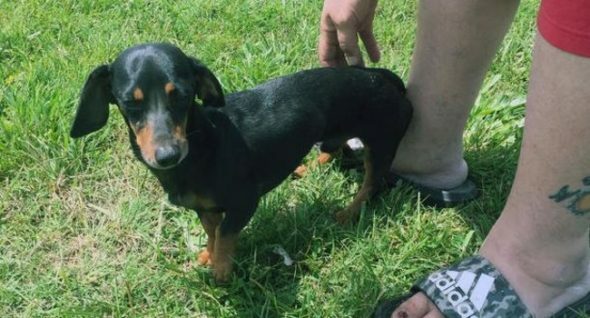 After the small dachshund found himself in a pickle, two off-duty Kentucky State Troopers stepped up to help him out. Kentucky State Police, in a release following the rescue, said that Sgt. Michael Williams and Trooper Gerick Sullivan were mowing grass in a cemetery in Salem, KY, when they heard barking. Upon investigation, they found Rocco. The itty bitty pup had somehow gotten himself stuck in a tree trunk! It appeared he’d crawled through a nearby groundhog hole and unwittingly wedged himself into the tree. 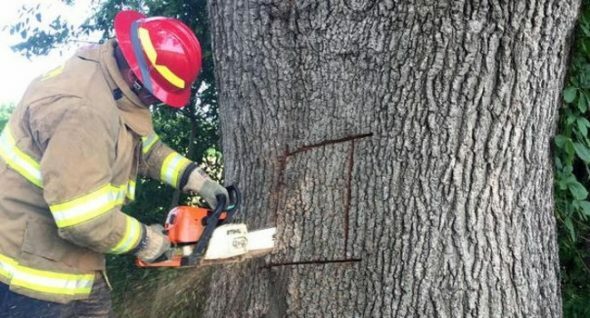 Williams and Sullivan called the Salem Fire Department, and firefighter Daniel Newcomb arrived to cut a hole in the tree with a chainsaw. “The opening in the tree was made larger, should Rocco or another dog find themselves inside the tree again,” state police noted.